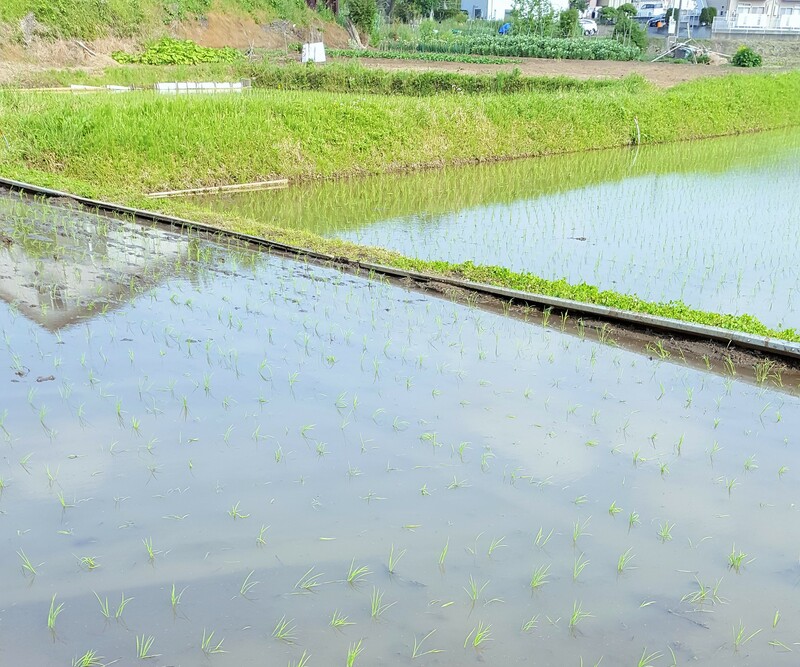 Today is 立夏=rikka, the first of summertime 二十四節気 including other 5 of 小満, 芒種, 夏至, 小暑 and 大暑. 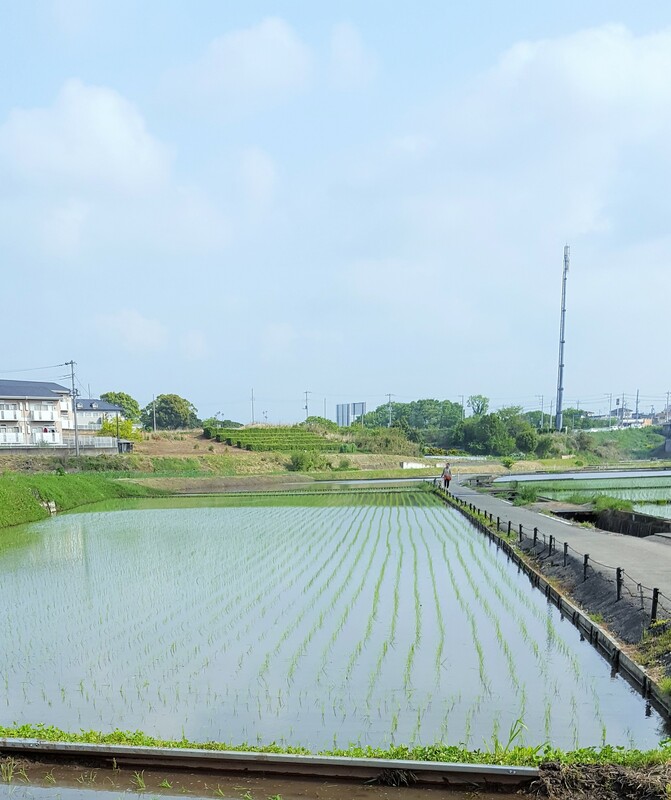 Now we see neatly planted rice paddies after yesterday’s storm. 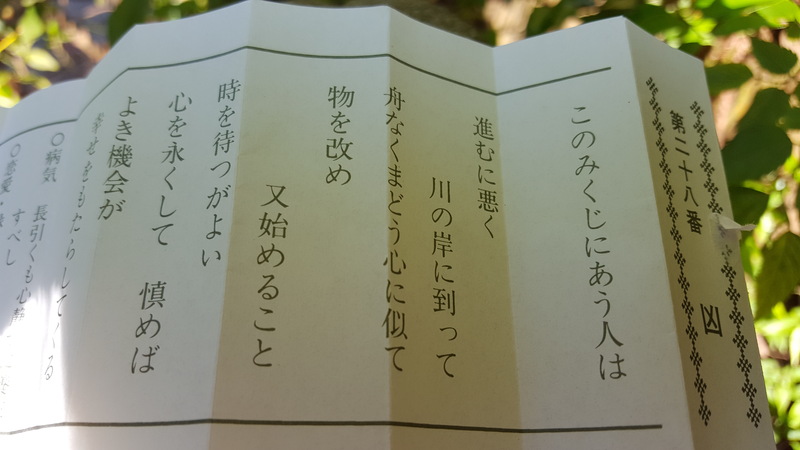 And Mei-Shun took the worst 凶 omikuji for the first time at the nearest shrine! Well, she starts from here, it would mean.